Pharmacovigilance in low and lower middle-income countries has not been commensurate with increasing access to medicines, despite growing recognition that it is important to health outcomes. Pharmacovigilance is impeded where healthcare systems are overburdened and under- resourced. In countries such as India, the population is increasingly exposed to potential adverse drug reactions. Pharmaceutical industry corporate governance, that advances pharmacovigilance in under-resourced countries, would support postmarket drug safety. An analytic framework is used to guide this comparative analysis of pharmacovigilance governance within global pharmaceutical corporations (GPCs) and their Indian subsidiaries. Findings reveal that pharmacovigilance is not fully integrated into corporate governance of the GPCs studied. GPCs exhibiting the least integration have more outstanding drug safety issues. 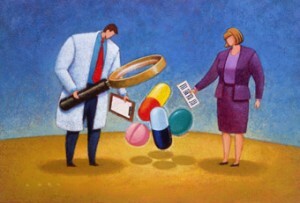 Policy incentives would advance integration of corporate governance and pharmacovigilance.